When you go fishing with kids, there’s more to it than grabbing the tackle box, rod, and reel. 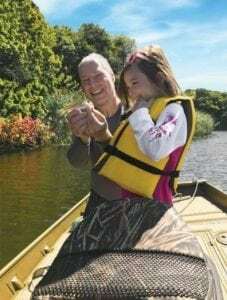 Selma Radoncic grinned from ear to ear as she gently stroked the dorsal fin of a fat bluegill before we carefully released it back into the water. At the tender age of five, she was out fishing and loved every second of it. Only minutes earlier, Selma had caught her first fish, a six-inch largemouth bass, and celebrated with high-fives all around. Now, she was on her fourth fish and would go on to deck some 20 more. It was a carefully orchestrated morning trip that saw us leave the fish biting. Even before we returned to the dock, it was apparent the young angler would be forever hooked. There was little doubt that her dad, Emir Radoncic, and grandfather, John Kurtz, would have a new fishing partner for life. 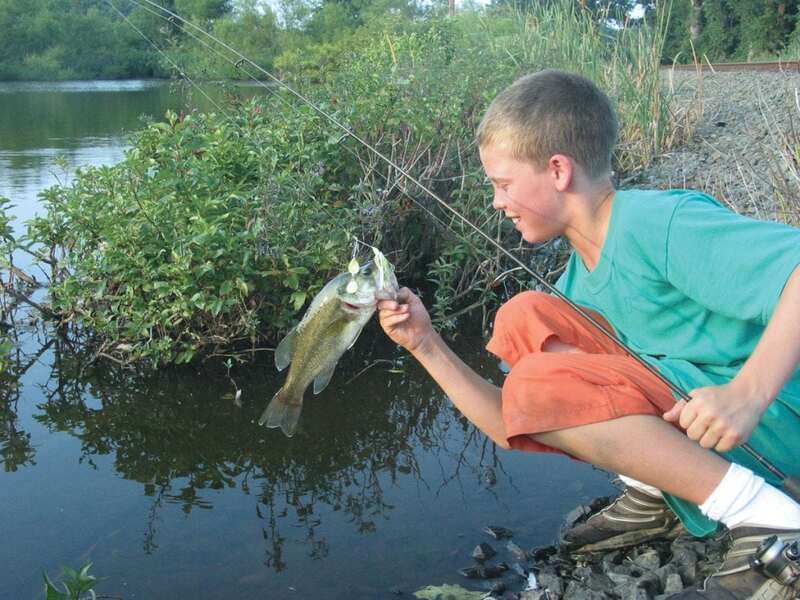 Industry surveys show that most anglers get their start in fishing as youngsters. In fact, studies reveal that very few people pick up the sport as adults. Thus, those first few trips fishing with kids need to be fun and successful if your child is ever going to see fishing as a favorite pastime. Unfortunately, indoctrination into the fishing world for many youngsters consists of a spur-of-the-moment trip with the minimal preparation. That may end in boredom or even frustration for both child and adult. That’s a shame because all it takes is a little insightful planning and success can be assured, even if the fish don’t bite. One key point to remember is that kids have limited and varied attention spans. Thus, it’s generally best to keep first trips brief. One hour of fishing can offer enough fun for most kids. Two or three hours is plenty even if the fish are hungry. Remember that, to children (and most adults), the day’s last impression is often more important than the first. For example, an hour of good fishing followed by three hours of waiting for one last bite can undo a productive start. Quit while you’re ahead and your kids will beg for more. It’s also important to realize that children need action and success when they go fishing. Although the promise of catching a big one may provide a grown-up challenge, it pales in comparison to the reality of a small fish actually tugging at the end of the line. Tuna and six-year-olds don’t mix very well, but a day spent catching scup or perch can be delightful. Take sea robins, for example. These oft-maligned scavengers are perfect for getting kids started. While adults tend to consider them little more than bait-stealing pests, sea robins are really neat from a kid’s perspective. They are abundant and colorful, feed with abandon, have wing-like fins, make loud croaking sounds, sport a gaping, toothless mouth, and strike both lures and bait. They also fight hard. Fry ‘em up and they taste enough like summer flounder that few will know the difference. Call them “dragon fish” and they suddenly take on a mysterious aura. Just watch out for the spines that surround their head when you’re fishing with kids. As a youngster, I loved to catch sea robins. I also fished with abandon for bluegill, perch, bergalls, and porgies (scup). I spent countless hours at a local tidal creek enticing spearing and killies (mumichugs) to bite on tiny beads of Wonder Bread. I’ll let you in on a little secret: Learn to hook a dainty minnow and you can catch anything that swims. Time is precious, but an investment in scouting goes a long way when it comes to scoring a successful first fishing outing. Before you bring the kids along, head out and make sure the fish are actually biting. Are the fish where you expect? Can you actually catch one? If not, do a little more prospecting before your protégé joins you. As for fishing instruction, give a hands-on demonstration. 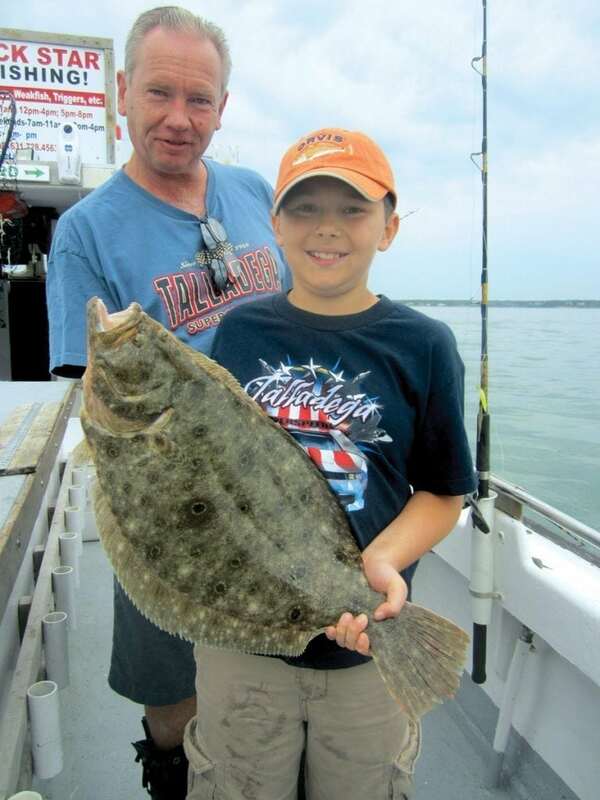 Most kids can figure out how to cast and retrieve any basic fishing setup in about 15 minutes. Provide casting demonstrations and practice at the dock or in the yard before heading out. Learning to cast while the fish are jumping can be especially exasperating. With younger kids, grown-ups should bait the hook and unhook the catch for obvious reasons. Appropriate flotation devices should always be mandatory. Lay down the safety ground rules ahead of time. “Look before you cast” should especially be reinforced before allowing any fishing to commence. As for actual tackle, start out with light gear that kids can handle and balance with ease. But choose a sturdier rod and reel over the inexpensive kid’s push-button spin-cast set-up commonly found in big box stores. As a rule, these cast poorly and don’t hold up well, which can lead to more disappointment than joy. Besides, you’ll be amazed at how quickly kids pick up the mechanics needed to use more grown-up gear if the fish start to bite. Fishing trips provide a great opportunity to introduce the topics of conservation and outdoors ethics to children. Long before anyone places a bait in the water, explain that some of the smaller fish will be released and discuss the techniques for letting fish go. Of course, no matter how much you plan, there are going to be days when the fish just refuse to bite. If that happens, it’s okay to admit defeat. Fish for a bit, then switch gears and try some other fun activity. Rather than end the trip on a sour note, sample a little shellfishing, go crabbing, catch frogs or crayfish. You could fly a kite, collect driftwood and seashells, skip stones, explore a cove, swim in the shallows, have a picnic, or play tag on the beach. It’s all good, and associating these fun activities with going fishing is always a smart move. To be certain, you really want to catch something on that first outing. But failing to score doesn’t doom the day. Most youngsters are simply happy to be out on the water spending time with you. Realize this one simple fact, and you’ll understand what many adults have forgotten but most kids already know: Catching fish is just a bonus.